Learn how to stay on top of the changing dynamics of customer aquistion as the technology around us has evolved in the insurance industry. It has been about a month since my daughter in-law changed how I do business. My son and his wife, Danielle, were over for a visit late that afternoon. We were all sitting around watching some television and catching up on various events. As usual, my 20 something son and his wife had their phones out and were occasionally checking them for the latest updates on whatever. I did not mind all that much as I was also trying to watch the football game and be social at the same time. Then it happened – my daughter in-law’s phone rang. It was one of my local competitors in the insurance industry. Danielle, in a matter of a minute or two, had completed a short application on her smart phone to find out how to lower her automobile insurance. She said she had literally just completed the application. The person on the phone asked her a couple of qualifying questions and then transferred her to a local agent who is one of my main competitors. She apologized to him stating she already had a good policy (from me!!!) and after she hung up, she apologized to me for shopping the policies I have put together for them. The fact that she wanted to find an improved policy bugged me for few days but then I started thinking about what had happened in my own living room. Someone looking for a better insurance plan completed a questionnaire, was immediately contacted, qualified and transferred to a licensed agent – all in a matter of minutes and all from their smart phone. I thought I was doing pretty good staying abreast of all the changes in the insurance industry. I have steadily grown my book of business over the years by paying attention to the changing dynamics of customer acquisition as the technology around us has evolved. I use the customer management software referred by my parent company to keep track of prospects and current customers. My office also does a decent job of sending out newsletters and various email marketing pieces to help on renewals and referrals. I also use real time internet leads and have my office staff man the phones during peak call times to get the best contact rates I can by calling the leads immediately. 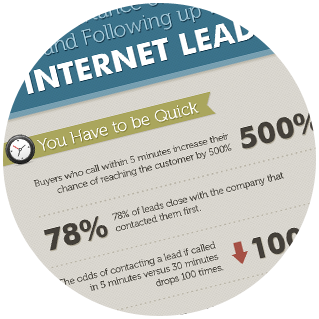 But my best monthly contact rate calling real time leads via the phone was 40%. My main competitor, Kevin, had found a process where he was getting a 100% contact rate with a qualified shopper. I hated to do it but I swallowed my pride and stopped into Kevin’s office to find out what he had done to take advantage of technology and beat me to customers. Here is what I found out. He uses a company called Contactability.com. The company has been helping insurance agents grow their businesses for over 10 years. Along the way, they have put together a pretty impressive suite of services ranging from a call center service aiding agents to timely contact their leads, a pretty spiffy customer management software reporting system and a variety of email marketing options. Through a variety of web based advertisements on smart phones, tablets and personal computers, they get people who are actually looking for insurance to complete a short on-line questionnaire. Upon completion of the questionnaire, they are immediately contacted and put through a few more questions to ensure the person is really seeking a quote. Then and only then, the potential customer is transferred. But it gets better. 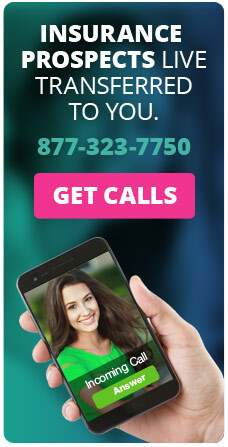 Unlike real time internet leads that can be transferred up to 8 times, this call is transferred to only one Agent. Agents are assigned exclusive territories by telephone area codes. 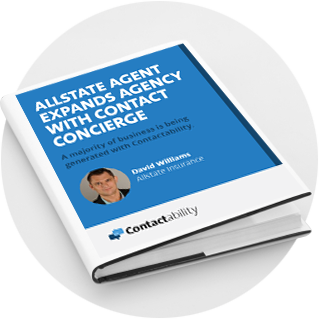 As long as the Agent answers their phone, they get the customer’s call. If they do not answer, the call goes to the next Agent in the priority queue. And you only pay for the calls you answer. I thanked Kevin for the overview and the Contactability.com contact information. I called them to enroll as I was driving back to my office. You can learn more by visiting www.contactability.com . Additional information may also be obtained by contacting their Vice President of Business Development, Mark Overstreet, via telephone at 877-323-7750 ext. 706 or email him at moverstreet@contactability.com. I also told Danielle that she was my favorite daughter in-law.